Surveying is an important stage of any project. 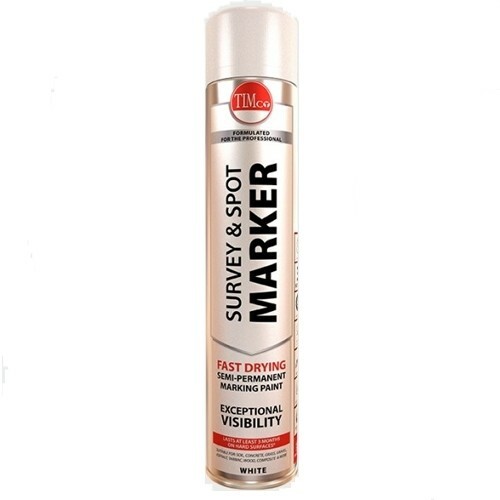 If you need survey line paint to help you to carry out an accurate and effective survey of any site, then CNS Powertools can help, as we supply survey line marking paint and applicators from one of the most popular brands – namely, Everbuild. Available at fantastic prices to ensure that you always get a great deal when buying from us, the paint offered in our online shop will provide the clear, durable coverage that contractors and surveyors alike require, and will make it much easier to get your spot marking spot on. Uncertain which of our products is right for your individual requirements? Don’t worry, as our friendly team are on hand and ready to help with an expert recommendation, so please don’t hesitate to get in touch if you can’t see what you are looking for, or if you are unsure what you need.